Sarah (Janisewski) Paulson has been working with Horizon Point Consulting since 2013, providing analytical support for compensation survey projects. She has professional experience in recruiting (both corporate and field operations), HRIS implementation and administration, HR analytics, employee relations, onboarding, and compensation and benefits administration. She holds a Bachelor’s degree in Psychology from Westminster College (MO) and is currently finishing up her Master’s in Industrial and Organizational Psychology from Middle Tennessee State University. Her thesis examines the role of individual differences on the propensity to negotiate salary during the job offer process. 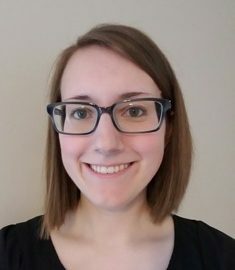 This doesn’t leave much room for free time but she enjoys volunteering, doing taekwondo, and keeping up with new developments in I/O Psychology. She resides in the Indianapolis, IN area with her husband, Shane.